Apply “starter fertilizer” that is high in phosphate (P, or the middle number on a bag of fertilizer), at a rate recommended for the particular product. To prevent root injury to newly installed turfgrass sod, this fertilizer should be worked into the top 7 to 10 cm (3-4 inches). Roll the area with a lawn roller one third full of water to firm and settle the surface and reveal any low spots that should be filled to match the surrounding grade surface. If time permits, allow the area to settle further with rainfall or by applying irrigation water. This site is now ready for turfgrass sod. 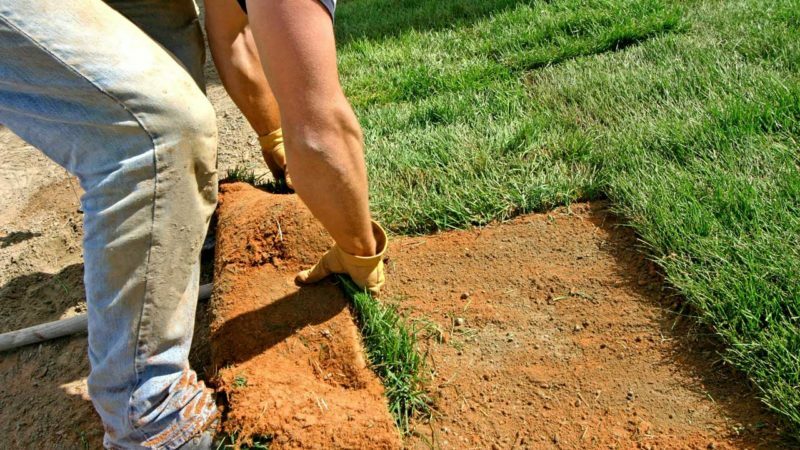 With this degree of careful and thoughtful soil preparation, the resultant lawn will be absolutely beautiful and require less maintenance, smaller quantities of applied water, fertilizer and pesticides, as it maintains a high degree of density and uniformity and recovers much more rapidly from wear. For years to come, your investment in soil preparations will yield a high return. What’s the Best Grass for My Lawn?